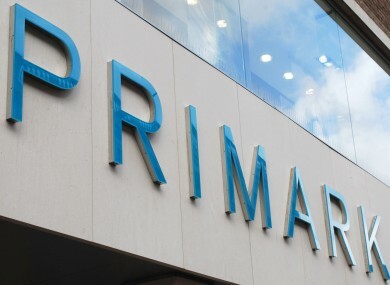 IRISH CLOTHING RETAILER Primark is investigating after a customer discovered a hand-stitched label with a damning message on a £10 dress she purchased in the store. Rebecca Gallagher from Swansea, Wales, was surprised to find a second tag sewn over the regular Primark label, which read ‘Forced to work exhausting hours’. She said she rang Primark to ask what was going on, but was put on hold for 15 minutes before being cut off. According to Vogue, the company claims it has no idea how the label ended up on the dress. They are exploring two avenues – the possibility that it could have been added once the dress arrived in the UK, or sewn in by a factory worker before it was shipped. A spokesperson for the chain has said they found the incident “strange” as there were no other incidents of this kind related to the dress in question. Primark’s code of conduct sets out the core principles that suppliers and factories must follow to ensure products are made in good working conditions, and that the people making them are treated decently and paid a fair wage. Primark’s ethics came under fire in 2011 after the collapse of a garment factory in Bangladesh killed 1,000 workers, 580 of whom were employed by a Primark supplier. The company recently announced that it will pay out €7m in compensation to workers who were injured and the families of workers who died in the collapse. Email “Shopper discovers 'hidden message' stitched on to Primark dress”. Feedback on “Shopper discovers 'hidden message' stitched on to Primark dress”.